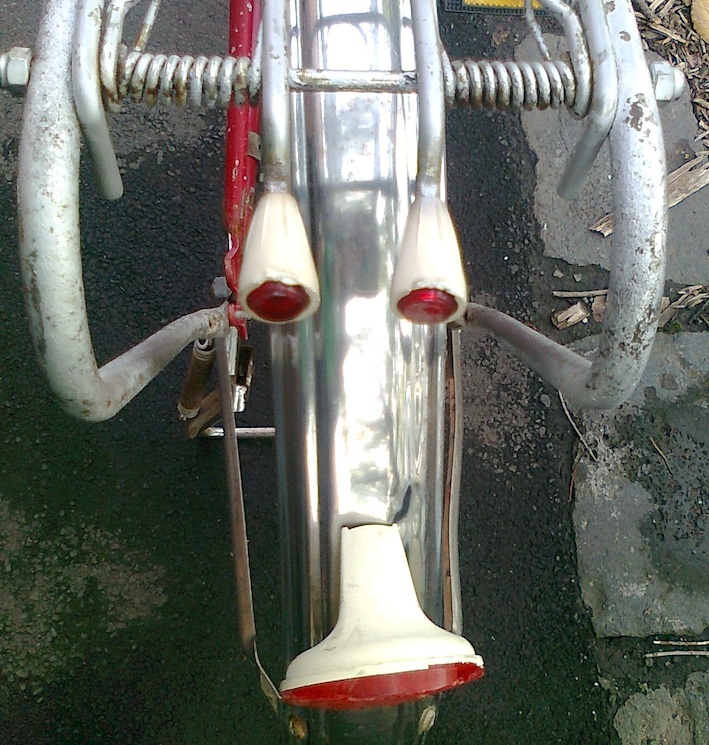 Speaking of red bikes and alien faces, how’s this for a forlorn little space critter? 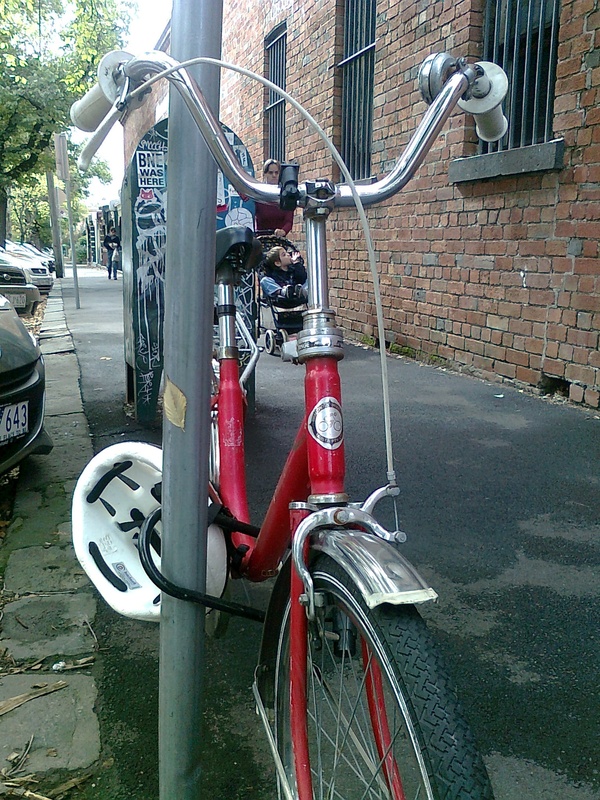 This belongs to one of our old favourites, a Graecross (not Grace Cross – click here for the true tale of Miss Cross), spotted today in my very own street outside my local cafe. Sweet! And here she is, front and back. 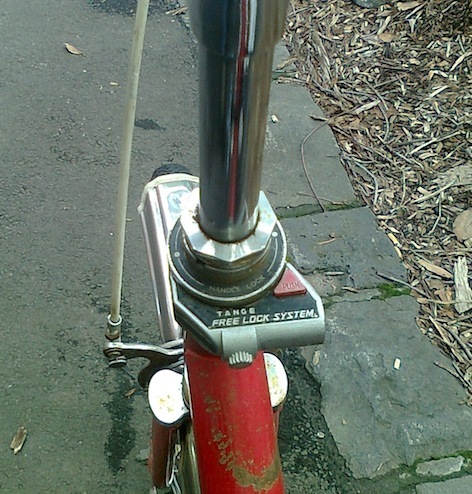 Neither restored nor trashed, which is just the way I like my little bikes. 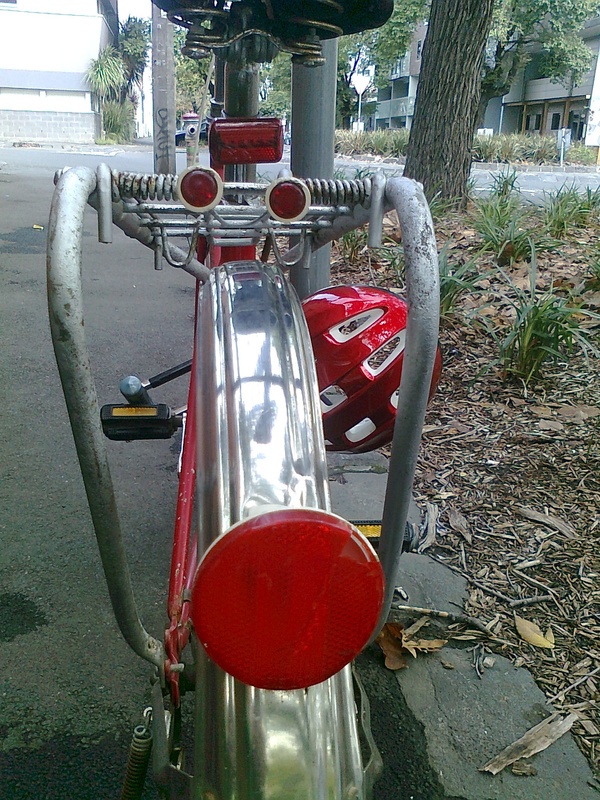 Clearly a loved bike I’d say judging from the shiny matching helmet. I rest my case. But what does it mean? What does anything mean? Oh dear! 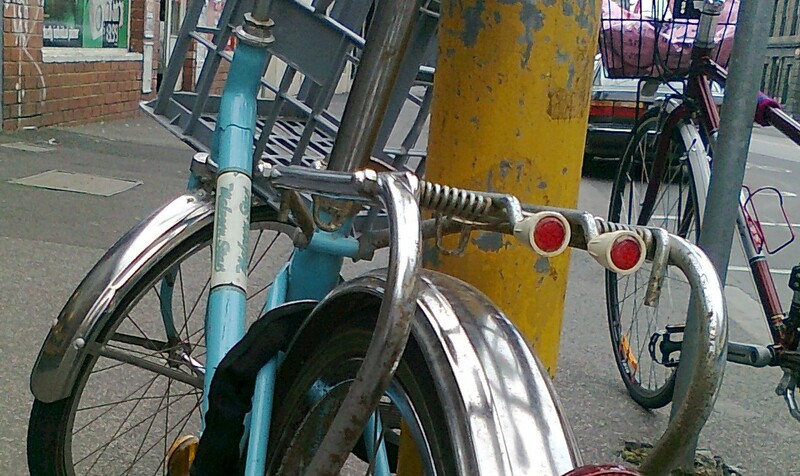 Cross-pollinated bikes seem to be sparking off some kind of existential angst…oh the perils of being a blogger. It makes you QUESTION LIFE!